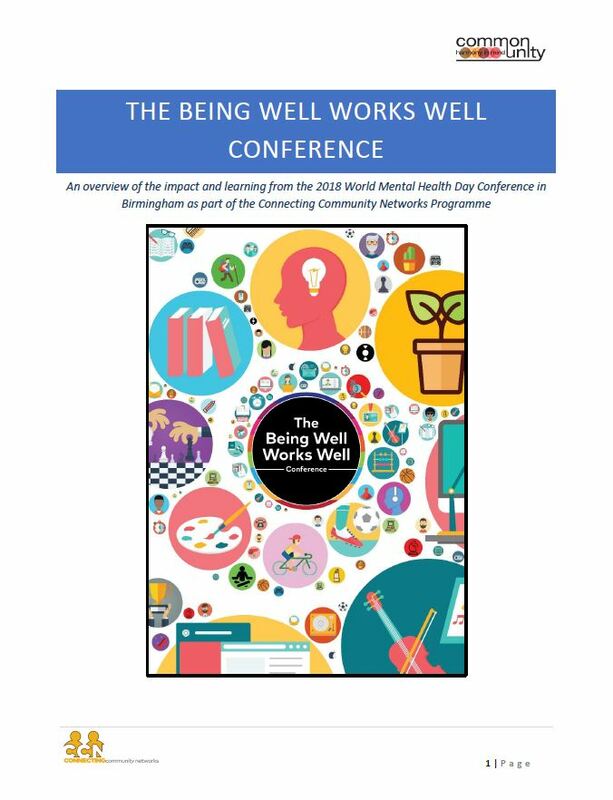 As part of Birmingham and Solihull’s Connecting Community Networks Programme, Common Unity hosted the 2018 World Mental Health Day Conference in Birmingham with a bit of a difference. Common Unity use the E.P.I.C approach in respect of mental health and wellbeing meaning that we work upstream to Educate, Protect, Intervene and Champion programmes and approaches that support mental health and wellbeing across communities…. after all, as Benjamin Franklin stated, An ounce of prevention is worth a pound of cure. What is Connecting Community Networks all about?